WASHINGTON—A primetime address on continued U.S. involvement in Afghanistan and a rally planned in Phoenix, Arizona, did not serve as a distraction from the latest fallout from what could be described as a presidential administration meltdown. After a tumultuous two-and-a-half weeks out of town, while the White House underwent major renovations President Donald J. Trump returned to Washington Aug. 20 after what might have been his worst week in office, less than a month after his previous worst week in office. On top of more chaotic turnover among his White House staff including the ouster of controversial chief strategist Steve Bannon; the lowest approval rating of any president so early in his term; public scorn for his wrong-headed comments about violence and race hatred among his supporters in Charlottesville, Virginia; Mr. Trump has been subjected to disapproval from members of his own party in the Senate. 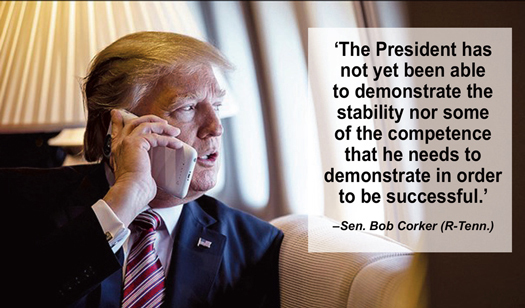 “The president has not yet been able to demonstrate the stability nor some of the competence that he needs to demonstrate in order to be successful,” Sen. Bob Corker (R-Tenn.) told reporters in Chattanooga, Aug. 17, according to a video posted by local news website Nooga.com. There must be “radical changes” within the White House in order for this president to be successful, he said after the president’s widely criticized comments about racially motivated protests in Charlottesville. 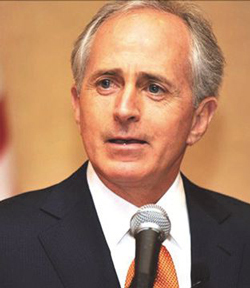 “He has not demonstrated that he understands what has made this nation great and what it is today, and he’s got to demonstrate the characteristics of a president who understands that,” Sen. Corker added. Another senate Republican agrees. He’s Sen. Tim Scott (R-S.C.), the only Black GOP member of the body. First shot in the circular firing squad, attacking two other Republican Senators: Lindsey Graham of South Carolina, and Jeff Flake of Arizona; on Twitter over their criticisms of him. 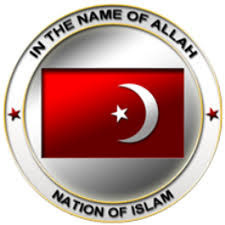 The turmoil is reminiscent of frequent pre and post-election warnings by the Honorable Minister Louis Farrakhan of the Nation of Islam of what the election of Mr. Trump portends for America. God put Mr. Trump in power, the Muslim leader told a standing room only audience at Chicago’s Mosque Maryam Aug. 20. “I know you didn’t want Trump. I didn’t either. But I said some words … When I was on Cliff Kelley’s show, I said: ‘If you all vote for Trump, he will have you on a rocket ship to hell.’ The ride is getting a little rough … But let me tell you something, if you don’t know God, you don’t see God’s hand,” said Min. 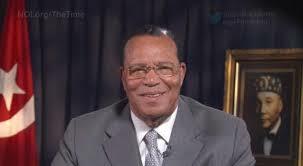 Farrakhan during the address that was broadcast globally via internet. “You say, ‘How could God ever put that White man in there that’s ruining everything?’ Did you ever stop to think that that’s his job?” the Minister continued. During his message Min. 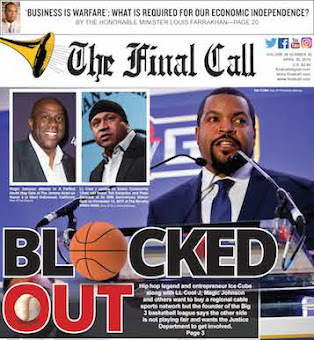 Farrakhan pointed out how Mr. Trump addressed Blacks during his campaign, his appointment of General James “Mad Dog” Mattis as Secretary of Defense and other cabinet appointments. This latest unraveling of the Trump administration, its agenda, its inner circle amounts to “Meltdown 2.0” just seven months into the president’s term. With the exception of Vice President Mike Pence, who is, like the president, elected to a four-year term, every other member of Mr. Trump’s White House inner-circle—National Security Adviser Michael Flynn; Deputy Chief of Staff Katie Walsh; Communications Director Mike Dubke; Press Secretary Sean Spicer; Chief of Staff Reince Priebus; Communications Director Anthony Scaramucci; and Chief Strategist Steve Bannon—have all left the administration. But even with the departure of Mr. Bannon, who immediately rejoined Brietbart, a right-wing media website, it remains to be seen what if anything will change in the Trump administration. “Steve Bannon has unquestionably been a driving force behind the racial turmoil that threatens to tear this country apart. Such a divisive figure has no place in the White House. While it is appropriate that Steve Bannon go, his departure is not enough,” said Kristen Clarke, president and executive director of the Lawyers’ Committee for Civil Rights Under Law in a statement released the day Mr. Bannon left the White House. There are conflicting reports on whether he resigned or was fired. The NAACP issued a statement expressing its pleasure at seeing Mr. Bannon gone. 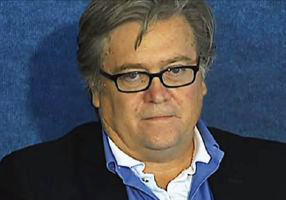 “The NAACP is glad to see Steve Bannon out of the White House,” said Derrick Johnson, interim president and CEO of the NAACP in a statement. “Ousting one key staffer, however, can’t erase the words used by President Trump this week in defense of domestic terrorists, neo-Nazis and White supremacists. President Trump provided permission for these hate groups to exist,” the statement continued in part. “Re-election is still 39 months away. Until then, aides in the White House can have significant influence in how to shape White House policy and messaging. It’s hard to see how getting rid of all of them will make things easier for Trump,” Mr. Montanaro continued, before adding that Bannon’s exit could mean less chaos in the White House, but more outside. Critics of the president also pointed to his scheduled Aug. 22 rally in Phoenix with precaution. Organizers of a protest against the president as he prepared to visit Phoenix said they were expecting several outside groups to join. According to the Associated Press, Carlos Garcia of Puente, Arizona said protesters would meet the day of the rally around 4 p.m. and march from a downtown park to the Phoenix Convention Center, where Trump was scheduled to hold a rally at 7 p.m. Immigrant rights activists have protested Mr. Trump’s several Arizona visits, at one point blocking a major road that led to a rally he held in Fountain Hills, a Phoenix suburb. The groups oppose Trump pardoning former Sheriff Joe Arpaio, who was convicted of misdemeanor contempt-of-court this year. Mr. Trump told Fox News he was seriously considering a pardon. Staff turnover and Arpaio are still not the only things dogging Mr. Trump. Even two voluntary corporate panels were dismantled after several Fortune 500 CEOs resigned; then members of an arts council resigned in mass; and the president chose to become the first president ever, to not participate in the John F. Kennedy Center Awards for outstanding U.S. artists. Mr. Trump said it would permit the artists to celebrate their honors without politics distracting from the award presentation. Three of those recipients had announced they would not attend a Trump hosted reception in their honor. 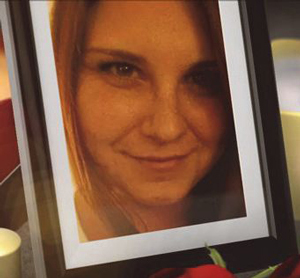 Another un-forced error committed by Mr. Trump was his defense of Confederate monuments; his kind words about the neo-Nazis and Ku Klux Klan members; and his statements equating the behavior of anti-racist counter-protestors with that of armed Klansmen and neo-Nazis, whose violent attacks left Charlottesville resident Heather Heyer dead after an alledged neo-Nazi sympathizer ran into a crowd with his car. This led to Mr. Trump’s approval ratings dropping below the all-time low reached during the previous White House meltdown, when the Republican-controlled Senate refused to pass “Trumpcare,” the President’s signature campaign promise to “repeal and replace” the Affordable Care Act (“Obamacare”), as Mr. Trump seemed to attempt to manipulate an FBI investigation into possible collusion with Russian operatives by the Trump 2016 election campaign. Meanwhile another battle is brewing and is on the horizon in opposition to the administration. “The August recess isn’t over yet, but progressive organizations are using the time to mobilize against looming Republican plans—spearheaded by the Trump administration in the White House and by Speaker of the House Paul Ryan (R-Wis.) in Congress—to give corporations and the nation’s wealthiest individuals massive tax cuts while putting services and social programs on the chopping block,” reports Common Dreams. “Side-by-side, there’s no denying it: Trump’s draconian cuts to services that will harm working families are intended to pay for his massive tax giveaways to big corporations and the wealthy. Helping the American people understand what’s at stake is how we will win the tax fight,” noted Jon Queally in the article, “Progressive armies mobilize against GOP tax cuts for Corporations and wealthy,” on commondreams.org. And, in another area of concern, the Secret Service, the agency charged with among other duties, the protection, safety and security of the president and his family, is running low on funds to perform those tasks. “The Secret Service can no longer pay hundreds of agents it needs to carry out an expanded protective mission— in large part due to the sheer size of President Trump’s family and efforts necessary to secure their multiple residences up and down the East Coast,” reported USA Today on Aug. 21. More than 1,000 agents have reportedly already hit the federally mandated caps for salary and overtime allowances, meant to last the entire year, the newspaper reported. The continued uncertainties and fears of what’s next with the Trump administration lurks in the mind of concerned citizens. Lavon Pettis, a community outreach and engagement specialist in Chicago said, “People are both laughing, but they are also horrified and scared by Trump. Because he sounds like a cartoon super villain,” she said. 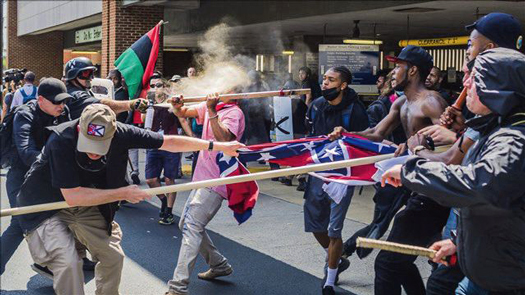 “The situation in Charlottesville, Virginia. is pretty embarrassing for America and people are very agitated by this situation. Most people are on high alert because Trump is such a live wire. We have no idea what can happen and what Trump is doing, and what type of chaos this can lead to in the future. Marginalized groups are impacted by trauma from police brutality, mass deportation, economic uncertainties, and human rights violations that are dismantling the social fabric and core of American communities,” she added. 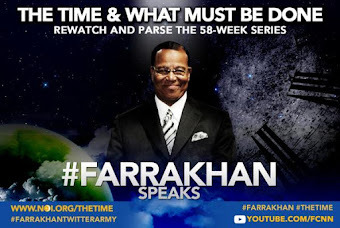 There have been calls for Mr. Trump’s impeachment, but that will not make everything suddenly alright, noted activist and Patheos blogger Hakeem Muhammad. 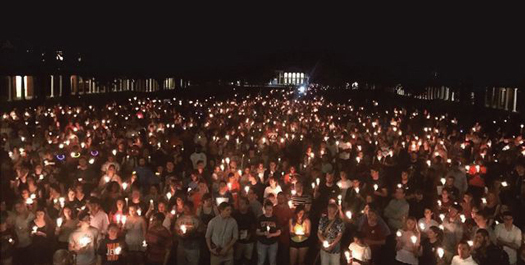 “White supremacy cannot be eradicated by impeaching Trump. It is time to correct our analysis. 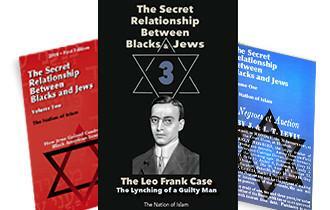 Don’t be duped by these big time White supremacist politicians condemning their small time White supremacists’ counterparts, White supremacy is White supremacy,” he told The Final Call. Public sentiment toward Mr. Trump continues to echo a divide. When it comes to the direction of the country, the latest Rasmussen poll reported 30 percent said the country is headed in the right direction compared to 64 percent in the wrong direction. Rasmussen also reported 42 percent approval rating for Mr. Trump versus 57 that disapproved. 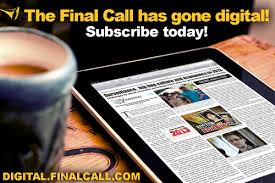 A Gallup poll noted an approval rating of 35 percent compared to 59 percent disapproval. Although he is still popular among Republicans, his key constituency, his job performance rating has dropped among strong Republicans from 91 percent in June to 79 percent now, according to a Marist Poll released in mid-August. A majority, 62 percent, of the 1,009 U.S. residents polled think the president’s decisions overall have weakened the role of the United States on the world stage. Mr. Trump’s recent “manufactured crisis” over North Korean missile tests has also raised anxiety at home and among U.S. allies. But there will be no foreign bombs landing in this country, Min. 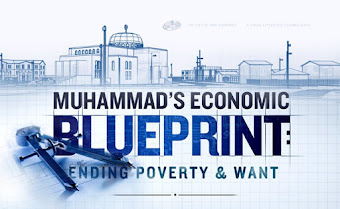 Farrakhan declared. “The United States is a preserved territory,” for God Himself. “The more you can delay the (impending) war, the better it will be for you,” he said.